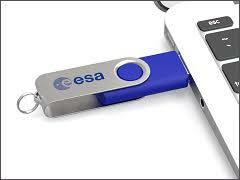 USB flash drives/pen drives are no doubt a great choice for data transfer and storage. Their light weight, portability and the fact that it does not contain any moving parts are some of the great features it provides. Despite these advantages, like all storage devices, USB’s also experience corruption issues and data loss at some point in their lives. In this article, we discuss about one such common error which shows ‘USB is empty’ despite containing data in it. What are the reasons for this error and is there any way to recover data from this device? All of these details will be covered in this article. Sometimes it is possible that the files in the USB device are hidden and hence your USB device may be showing empty. In order to make sure this is not the inherent problem, unhide files using the following steps. Now check if the files and folders on your USB are visible. If not, proceed to the next step. A virus on your USB device may be causing it to show the device as empty. To rule out this issue, run an anti-virus scan on your USB device. If you find any viruses on the device, get rid of them. If the scan shows that your USB device is clear, you can proceed to the next step. If the above solutions don’t help you resolve ‘USB device is empty’ issue, chances are that your USB device is corrupt. Corruption can happen due to various reasons such as removing the device without using ‘Safely remove hardware’ or removing the device when data transfer is in progress. In this case, it is recommended that you recover data from the USB device that is showing empty and then go ahead with other troubleshooting steps. And for the purpose of recovering data, you can use a tool called Remo Recover. Remo Recover is a wonderful solution to recover data from memory stick Pro Duo, and other USB drives that are corrupt or showing ‘Empty’. The software scans the selected drive using powerful scanning algorithms and recovers all partitions and data from the drive without any change to the original form. Not just that, the software can be used with multiple storage devices like external hard drives, SD cards, Fire Wire devices in addition to USB flash devices. Now let us see how you can recover data from the USB device that is showing ‘Empty’. Note: You also get to enjoy a free preview of files using the trial version of the software. Once you have recovered data from the USB device using Remo Recover, perform CHKDSK, a built in tool to scan the device for corruption. CHKDSK has the ability to scan and repair file system errors in your drive that may be causing the error. To run CHKDSK, follow the steps below. Wait for the scan to complete, it may take anywhere from 15 minutes to an hour or more depending on the size of the drive and number of errors. Once the CHKDSK scan completes your drive will be repaired. [Solved] Hard Drive Shows as Unallocated- How to Fix?